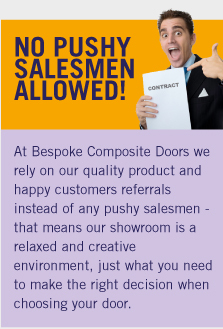 Why Choose Bespoke Composite Doors? 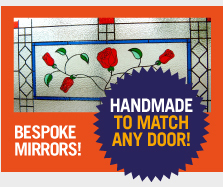 Here at Bespoke Composite Doors we understand all the factors to consider when choosing the right door for your home. We are a small but dedicated team who will work with you directly to ensure you are 100% certain on the door you pick. 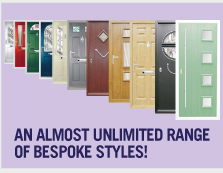 We provide a unique bespoke service meaning every door we design and manufacturer is tailored specifically to your requirements. With over 20 years’ experience you can trust our established reputation to offer a sophisticated, stylish and stunning product, adding that air of elegance to your homes entrance. 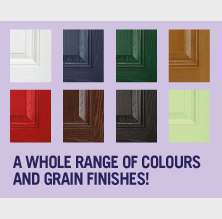 There are many benefits to choosing a composite door which our friendly team will explain when you visit our showroom. There's no need to paint or saint every 12 months, you'll just to oil your door annually! Your composite door, if well maintained will last you over 30 years!